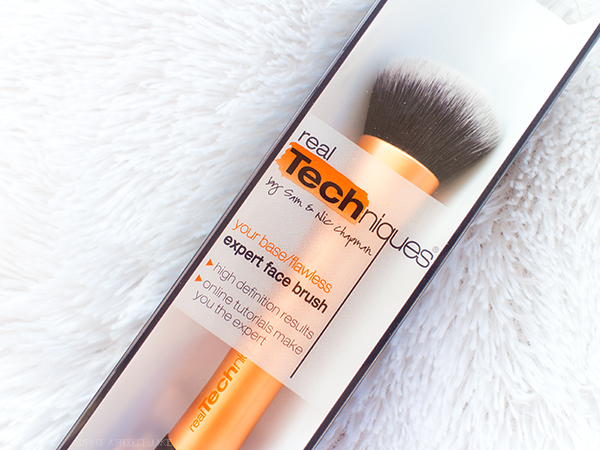 Hello, lovelies~ In my previous post about my current beauty favorites, I included a makeup tool from Real Techniques and it is their Expert Face Brush. I am an avid foundation user, so I'm always on the lookout for the next best foundation brush. I have tried their Core Collection and reviewed it on my blog a couple of months ago. Just click on the name to read more about the Real Techniques Core Collection. I originally wanted to try this one, but since it wasn't available at that time, I bought the Core Collection. 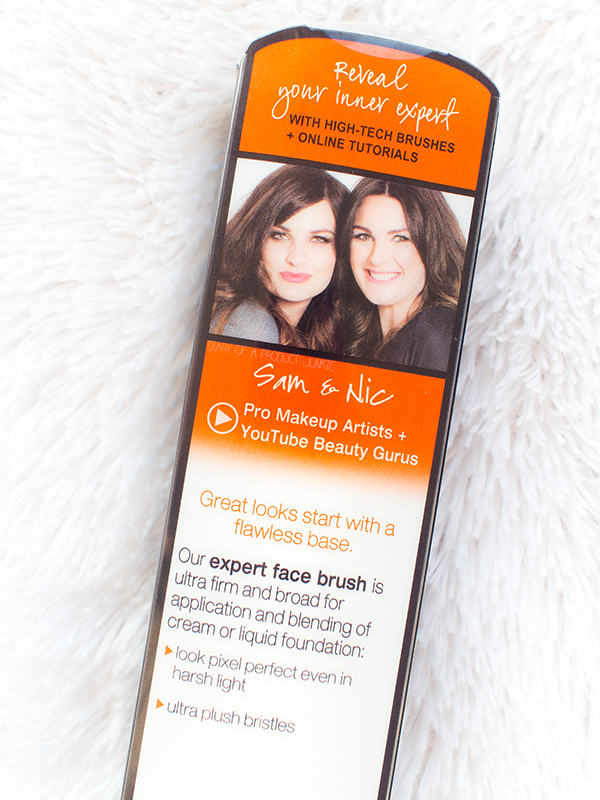 It came in a transparent box along with the product details such as link to the website, claims and also a picture of the Sam & Nic. Their faces would be similar if you frequented Youtube for makeup tutorials and reviews. 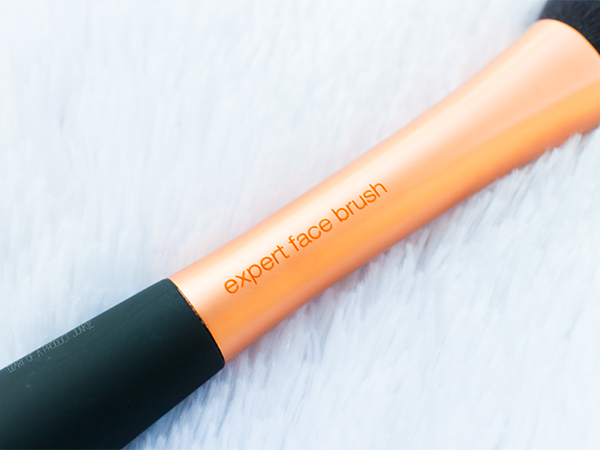 The Expert Face Brush has a orange-brown colored ferrule, which indicates that it belongs in the 'FACE' category. I've explained more in the previous post about their color coding system for each of their brushes. The name is printed on the ferrule in case you forgot what it was. The synthetic bristles are densely packed and it hasn't shed from the first time I bought it. I have to admit that the kinda-flat-oval shape is one of a kind among my brush collection. It is one of the smallest compared to the other face brushes in my collection. I use it mainly to 'paint' any large red spots on my face, namely the cheeks and chin. I don't buff my foundation with this brush as I find it streaky if I did. There wasn't any weird dyes or colorants that gets washed off during that initial washing session.I remember my elf face brush has a red liquid when I rinsed it. I thought my face was bleeding when I used that brush, lol. 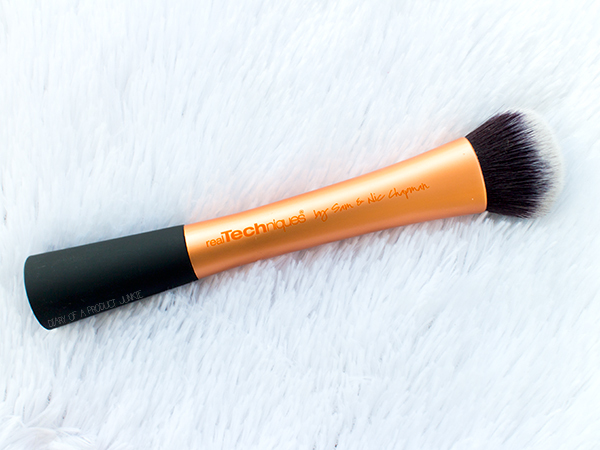 The brush makes blending easier, especially for slightly thick BB creams or foundations. The ferrule feels sturdy, as in the glue doesn't come off easily. The handle is rubberized, so it reduces the chance of drop from my hands, lol. 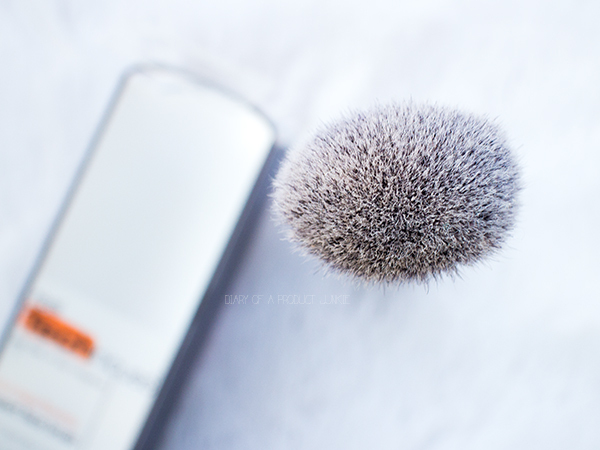 Overall, I quite enjoyed this face brush, but not for buffing. Then again, I do have a separate brush for buffing, so no problems there.